Fairbanks, 미국의 빌리스 백팩커스 호스텔 | 호스텔월드에서 예약하세요. 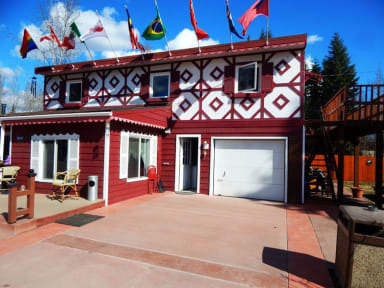 Billie's Backpackers Hostel is Fairbanks' longest running, friendliest hostel. In operation since 1991, we are a family-run, home hostel. Open YEAR-ROUND and with NO CURFEW, Billie’s is the perfect place to relax; to mingle with other world travelers; to use as a start or end point for your Alaskan adventure; or to simply linger and enjoy our midnight sun of Summer or our northern lights of Winter. 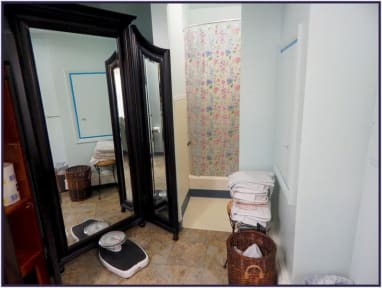 Primarily, we offer dormitory beds –with usually no more than 4 people to a room. Most of our dorm beds are in the main part of our home. Our glass Gazebo dorm is available only during the summer (no heating) and it can accommodate up to 6 people. Gazebo guests must walk the few steps to the house to use the kitchen and main common area. We make every effort to separate the sexes, but during our busy summer months the arrangement may be CO-ED. All guests share bathrooms and common areas like our kitchen, dining spaces and hostel grounds. We also offer private rooms, long-term stays, tent space and some other unique accommodations. Contact Billie directly to inquire about these. This property may contact you via email for you to provide them with the CVV code of the credit card you used for the booking. If you are contacted by the property for the CVV code and you do not provide it to them within 24 hours, the property has the right to cancel your reservation. In that case, payments, such as the deposit, are non-refundable. Please note that while pets are not allowed, Billie does have a pet pug named “Franky” that likes to greet and mingle with guests in common areas; but he is not allowed in any of the sleeping areas. Billie's Backpackers Hostel is a wonderfully warm, welcoming and accommodating place. You won't find a more comfortable, friendly hostel anywhere.